Wheems Cottage is a small renovated traditional cottage, overlooking bays and cliffs and 5 minutes walk away and 2 miles from village, ferry and bus. It is situated on small organic vegetable farm and has solar and ground source heating. 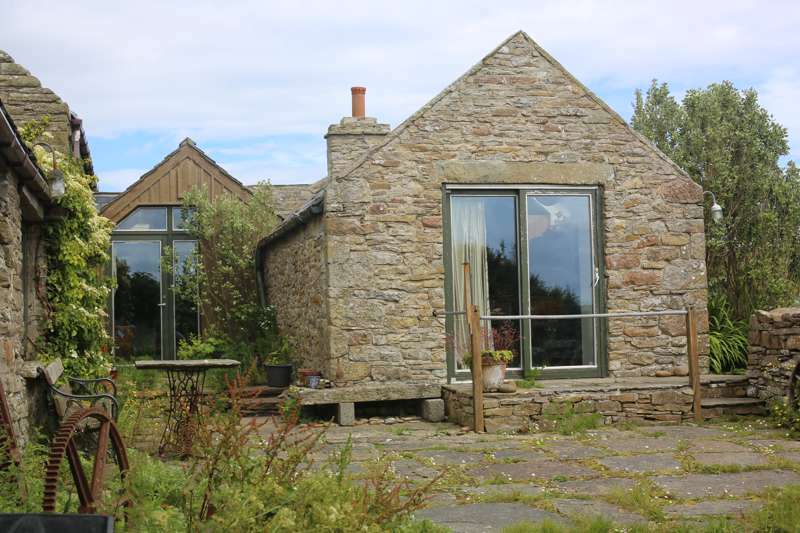 The property is connected to the main farmhouse, with sliding door onto its own front door onto a sea view patio and terrace. This cosy little cottage has one bedroom with double bed, one sofa-bed in living room, small bath and shower room, a kitchen and living area with double glass sliding doors onto the terrace.